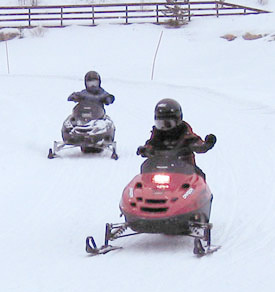 Try out the mini snowmobile fleet for the kids! 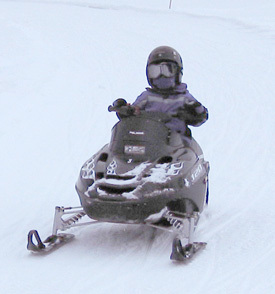 Our Polaris 120cc machines, made especially for kids (ages 4-12)! Give your kids a chance to drive and have fun too around our groomed track conveniently located at our Beaver Village location in Downtown Winter Park. Mini’s are available on a walk-in only basis from 9am to 4pm daily. $20 gets you 5 laps around our groomed track. No discounts can be applied to this activity.